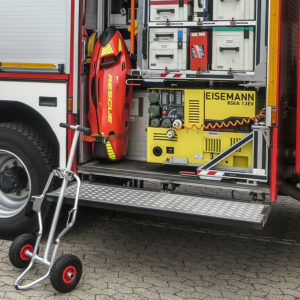 Seabob Rescue is small enough for Fire and Rescue truck compartment storage. For Firefighters, the Seabob Rescue craft is like having a mini fire rescue boat on each truck. Just like surf, Seabob Rescue performs well in fresh water, especially the faster moving swift water found in a number of streams and rivers. It is essentially a small swift water rescue boat. The operator just needs to pull it out of its compartment, transport it to the water, launch, and go. The Special Operations or Aquatic Operations truck can then follow the first response with larger, specialized equipment. 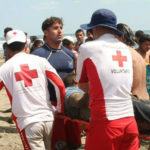 Seabob Rescue provides the initial emergency responders an option. Small, compact, and man-portable – Get this craft where you need it fast. Easy operation – Intuitive controls and TFT color display provide ease of use. Quickly access the water – One button electric start. 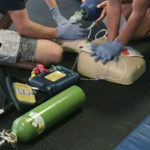 Electronic tether to the user – Never lose your Seabob Rescue craft. It knows how to stay near you. Powerful electric motor – Electro-jet propulsion provides immediate, sustained power. Long battery life – The craft has highly efficient Lithium-Ion accumulators. All water operation – Designed with carbon, ceramics, plastics, and salt-water resistant precious metals. Low maintenance – The all-electric operation avoids the need for gasoline and oil. Water jet propulsion, no propeller – Rescuers and victims are safe from spinning blades. 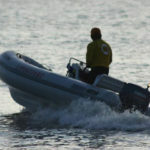 Perfect for one man rescue in high surf conditions – The craft dives under the waves with you. Onboard sensors – The TFT color display provides additional information on water depth and temperature. 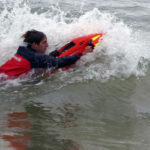 Air Transportable – Seabob Rescue is certified by the applicable UN transport test according to UN / DOT 38.3. Quick stops – Releasing the trigger on the right Piezo Controlgrip switches off the thrust and stops the vehicle. PIN Security – Each Seabob Rescue craft can be locked in storage. 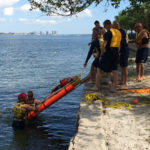 Lifeguard Services supports the use of Seabob Rescue for its overall speed, utility, and performance. 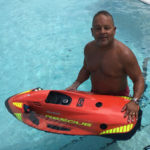 The company is a certified worldwide Seabob Rescue partner focused on Florida and most of the American South. 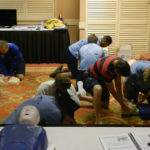 However, rescue personnel interested in working with a highly experienced, fellow lifesaver in the acquisition and operation of this remarkable rescue craft can work directly with Lifeguard Services for demonstrations and sales. To learn more about Seabob Rescue, please call 561-641-2855 during normal business hours or complete our Inquiry Form anytime.